But we are hunted, and the hunters wont stop until they've killed us all. 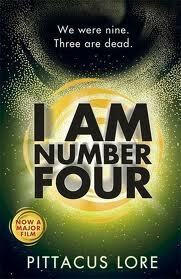 This book is about Number Four, John Smith. Eleven years ago aliens called the Mogadorians - evil aliens - came to the green planet of Lorien. They wanted to catch everyone on Lorien but some escaped to Earth, nine children called Garde and nine guardians called Cepan. The Mogadorians basically want to kill the children before their powers are developed, however, they can only kill them in order. John Smith and his Cepan, Henri, move to Paradise, Ohio, and John meets Sam, a nerd, and Sarah, a really pretty girl who loves to take photos. To be honest I was a bit hesitant in buying this book, cause I don't usually go for sci-fi. But I was surprised. I actually think this is one of my favourite books ever. I instantly got into it and it was extremely gripping, it was reasonably paced and quite clear. I loved Bernie Kosar, the dog that could change shape, it seemed a nice touch. 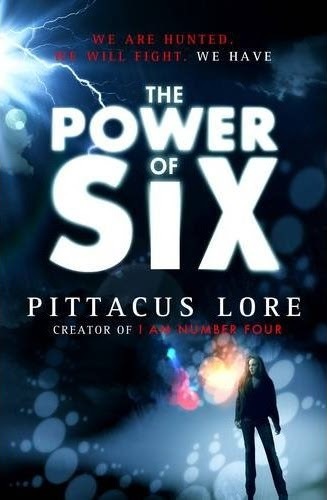 In my reviews, I prefer to look at the good stuff and the bad, but I'm finding it hard to find the bad, because the simple fact is, it doesn't matter that parts of the plot were a tad bit predictable, you just don't notice them beacuse the plot is so gripping and I didn't want the book to end. I highly recommend this book, extremely gripping, a total page-turner.